Paul Thomas is Emeritus Professor of Political Theory and American Cultures at the University of California, Berkeley. A contributing editor of Film Quarterly, he is currently at work on a critical biography of Jean Renoir. 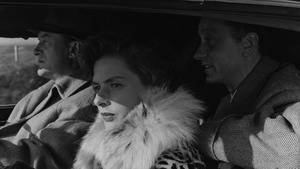 Roberto Rossellini officially left neorealism behind with his modern masterpiece, an intimate tale of marriage on the rocks.